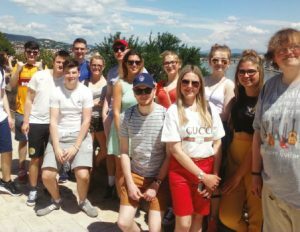 A group of young leaders from Scottish companies took part in this year’s Young Leaders’ Network international excursion to the Hungarian capital, Budapest. During the four-day, three night trip, the group spent time seeing the city’s top sights, including St Stephen’s Basilica, Buda Castle, Heroes’ square and the Chain bridge. The annual trip offers young leaders the chance to enjoy an international residential experience, learn about new cultures and make connections with other young leaders from across Scotland. News about next year’s international experience will be announced later this year.